The age-old puzzle of the high alpine’s unpredictable weather is finally solved by the Black Diamond Access Hoody, which gives you the ultimate in packable protection. 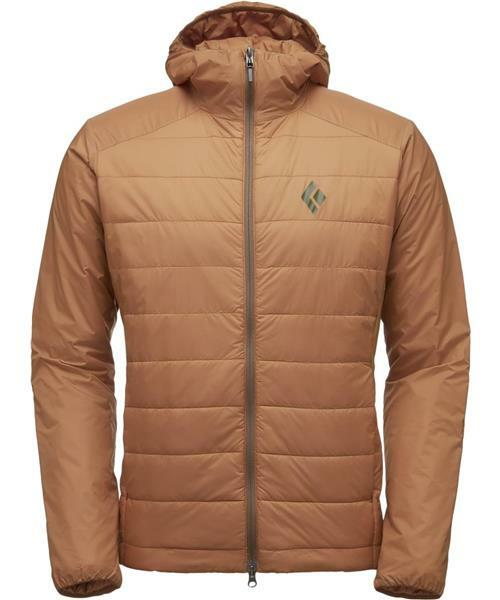 Constructed from a Pertex outer and body-mapped, migration-resistant PrimaLoft Gold Insulation, it marries durability that can handle the beatings that the mountains dish out with a trim profile for full packability. With gusseted, breathable underarms designed with Schoeller and a smaller concentration of insulation, you’ll be able to work through high-output pursuits without swapping layers. An elastic, climbing-helmet-compatible hood and a pocket that packs the jacket and clips to your harness give the Access Hoody complete versatility.